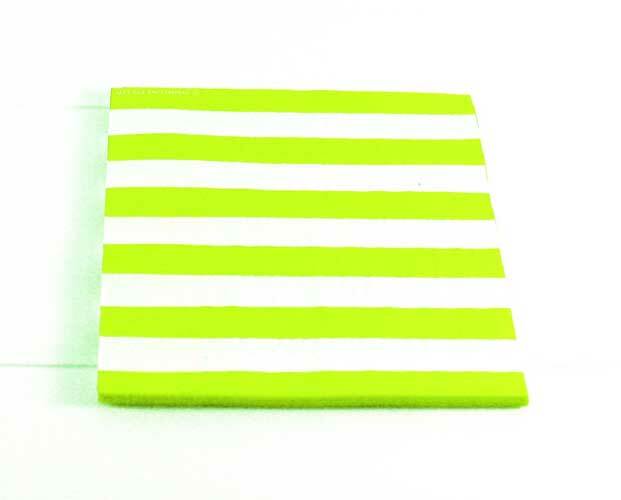 Fabulous reversible lime candy stripe napkins. Perfect for children's birthday parties, picnics and bbq's too! Part of our collection of beautiful Sambellina party products.